RUSH: In leading into all of this today, I want to focus on what the media is focusing on. The media is slowly and reluctantly — not all of them — but slowly and reluctantly realizing that the indictment of Manafort doesn’t even get them close to where they want to be, and certainly it doesn’t get them close to where they thought they would be on Friday when it was leaked that there had been sealed indictments. Over the weekend they all had convinced themselves that whatever this indictment, ’cause prosecutors come out with the big gun first. And stand by, because that’s a salient point here. All prosecutors who know what they’re doing come out with the big guns first, particularly when you’re at trial and you’ve got the jury impaneled. You load up the big guns because you want to create the indelible impression right off the bat that your perp is guilty. So these people in the Drive-Bys were convinced because of the immersion they’ve been in for the past year that whatever this indictment was, that it was gonna be big, because they’ve all bought into the notion that Mueller is there to get Trump, and Mueller’s investigators are there to get Trump. And everybody in Washington’s joined at the hip in the project of getting Trump, getting him out of town, getting him out of the White House. This indictment comes, and at first they followed through on what their natural progression led them to, that this is it, this is the first phase, Manafort, Trump campaign, this is it, we’re on the way. So after a day of a quasi-cold shower that didn’t totally cool them off yesterday, they then refocused on George Papadopoulos, because Papadopoulos was in the campaign, and Papadopoulos copped a plea. He pled guilty to a process crime. He lied to investigators and his plea occurred on October 5th, but Mueller — this is important, too — held the announcement of that for his announcement of the indictments of Manafort and his buddy, Gates, yesterday. The problem is that Papadopoulos was not an official member of the campaign. He was a liar. That’s what he’s been charged with. The best way to describe this poor guy is that he’s a rogue. You know, campaigns, particularly the Trump campaign, is where all the action was. I mean, you go to the Republican primaries and the Trump campaign was where it’s at. This radio show, this is where it’s at. And the first 10 years when this is the only show that’s out there, none of the others had sprung up yet, Fox News hadn’t started, I mean, this was where it was. Everyone wanted to be involved. Success has many fathers, failure is an orphan. That’s what the Trump campaign was. It attracted hangers-on like mad who wanted to be part of the campaign. Everybody wants to be part of something big. Everybody wants to have meaning in their lives. And this guy glommed onto the campaign, was able to pass himself off to certain people as a meaningful cog, but he never was. But the Drive-Bys have turned their attention to him because it’s abundantly clear to them that he provides a better route to getting Trump right now than Manafort does. Now, Andy McCarthy, my good friend who is a former federal prosecutor, as most of you know by now, successfully prosecuted the Blind Sheikh, Omar Abdel Rahman, 1993. Sent him to the gallows. Well, sent him to prison after a successfully tried case. Andy was a prosecutor in the U.S. attorney’s office for the Southern District of New York, which is Manhattan. And Andy has since left and is now a writer, books, columns, so forth, predominantly at National Review. And he had a piece. He had a piece today (well, he actually posted it last night) that put this whole thing in terrific perspective. Remember the experience from which he comes. He is a former federal prosecutor. He has done what Mueller is doing. Not as a special counsel, but as an investigator and somebody who gathers evidence for the express purpose of getting a conviction against those who have been charged or gathering enough evidence to secure charges. I want to read to you a paragraph from Andy’s piece because it reminds me of a conversation I had with him about this long, long, long ago, and I want to add to one of his points here. He writes, “To put it another way: Notice that Mueller did not make Papadopoulos plead guilty to collusion with Russia. For a prosecutor…” Papadopoulos pled guilty to lying, a process crime, a Martha Stewart kind of crime. He didn’t plead guilty to what everybody is hoping to prove here and that is collusion with Russia. Andy writes, “For a prosecutor, there is nothing better than getting a cooperating accomplice to admit guilt to the [entire] scheme the prosecutor is investigating.” If you can get that, you are halfway home. “It goes a long way toward proving that the scheme existed. Once you’ve got that — once you have a cooperating accomplice admitting guilt to the scheme — it becomes much easier to prove that the cooperator’s confederates are guilty too. “But even though there’s a great deal of evidence that Papadopoulos colluded with Russia, there’s no charge along those lines.” That’s not what Papadopoulos has been charged with, which is utterly strange. All there is… “There’s just a single false statement charge on which — according to the plea agreement — he’s probably looking at no jail time. And if there is, it’s not gonna be any more than six months. Why no collusion charge?” Papadopoulos is out there admitting that he had this professor and he was telling this professor stuff and the professor said he had dirt on Hillary. He was trying to arrange a meeting between the professor and the campaign, and Papadopoulos wanted to be the go-between. He wanted to be a powerful guy. He wanted to come up with evidence that would help the Trump campaign defeat Hillary, blah, blah. But none of that is what he’s been charged with — none of it — even though he admits it. “Why no collusion charge? Because collusion is not a crime.” Did you know that? It isn’t a crime. But here’s what I remember Andy telling me. I’ve peeled his brain about the Blind Sheikh trial, because to me it’s been such… For me, it was a learning exercise, and it was especially relevant in recent years as all of these legal cases involving Guantanamo and terrorism and so forth sprang up and how we secured — how Andy secured — that guilty verdict. That conviction has always fascinated me, and I remember him telling me that one of his best days in the entire Blind Sheikh trial came in the first week, because he secured the cooperation of one of the other main defendants. The Blind Sheikh had a bunch of coconspirator defendants also on trial, and Andy got one of those defendants to cooperate and plead guilty. So when this happens, and if you watch enough legal and crime shows on TV, you know that when somebody pleads guilty the exchange for an agreement or lesser charges or whatever, they have to go to court and “allocute.” (interruption) You know what that term means, Dawn, because you’re in there transcribing this stuff. “Allocute” means they have to go in there and admit it, in their own words. “Admit the structure of the Blind Sheikh’s cell. Admit what your ideology is. Admit what you guys believe. Admit why that matters in terms of what you did. Admit the role of the Blind Sheikh. Admit the role of everybody else involved. Talk about the different targets that you guys all had that you were planning to bomb and the people you were planning to assassinate.” Andy made this guy get up and explain all of that, and he said that may have been the best day — one of the best days — of trial. Because at the opening moments of the trial, I have my witness admitting everything. True, it’s a plea deal, but he’s still explaining and admitting everything, and he’s got to tell the truth or else he doesn’t get the deal. (paraphrasing) “And so I had one of the Blind Sheikh’s confederates owning up to everything on one of the first days of the trial, and there’s my case being made for me by one of the coconspirators.” The prosecutor investigating a big criminal scheme, that’s what you do. If you get a cooperator like, in this case, Papadopoulos? You make him plead guilty to the big scheme. “Okay. There was a scheme. There was a plan. And I was in on it.” And if the jury believes that, well — and they have to; why else would he admit this guilty? To get a plea deal. The point is, this is not what Mueller did with Papadopoulos. Why? Because he doesn’t have it with Papadopoulos. I have to take a break. But you get the drift here. This was a — in the eyes of several people (you’ll hear some sound bites coming up) — very weak opening, if Mueller is behaving as per the usual that prosecutors and special counsels do when they’re trying to nail big fish. RUSH: By the way, it’s all falling apart for Papadopoulos in another way. The professor is disclaiming much of what Papadopoulos is saying. The professor’s name is Mifsud. That story coming up. I just want to close the loop on this. What did Mueller do here? Instead of having Papadopoulos cop to the whole scheme and collusion and the campaign trying to collude with Russia, instead he has this accomplice (Papadopoulos) in collusion, has him plead guilty to… What? A single false statement, which under the sentencing guidelines he’s looking at no jail time? I mean, this is a firecracker that doesn’t go off. I mean, this is a fizzler. Why would Mueller do this? You launch with your big guns! You’ve got the Drive-Bys waiting for the big gun. You’ve got the Drive-Bys waiting for the end-all. This is it! This is what the investigation’s been all about since Friday, the announcement of the leak, and everybody’s chomping at the bit — and this? Manafort with nothing to do with Trump and now Papadopoulos nothing to do with collusion but instead lying to investigators? Now, Mueller is not an idiot. He knows that you want your cooperators to admit the thing you have spent months investigating actually happened and that there’s supposed all kinds of evidence of collusion, he doesn’t have Papadopoulos plead guilty to collusion because, again, collusion isn’t a crime, but also Papadopoulos can’t testify to any no matter what? Hang on. There’s one more thing I want to add to this too. RUSH: So conceding that Robert Mueller isn’t an idiot, he knows what I just told you, that Andy McCarthy wanted to accomplish in the Blind Sheikh trial. You open up with the kill shot. In Andy’s case, he had one of the Blind Sheikh’s coconspirators admit to everything and finger all the other coconspirators and then spell out the targets. And that’s ideal. That’s what all prosecutors would love to be able to do. So here’s Mueller, he’s got Manafort under indictment, and he’s got this guy Papadopoulos. And he cannot get Papadopoulos plead guilty to collusion because collusion isn’t a crime. The crime has to be conspiracy. There’s that word. And in this case, conspiracy means an agreement to violate the law, an agreement to violate a particular criminal statute, i.e., conspiracy to commit murder, conspiracy to bomb a building, conspiracy to hack an email system, conspiracy to hide your emails and server from whoever. If you’ve got conspiracy, now you have a crime. But he doesn’t have Papadopoulos on conspiracy. So this is an opener without any kind of a big bang. And it means they don’t have that. If they had that, if they had Papadopoulos or Manafort on conspiracy to collude, then they would make people plead guilty to that. That’s prosecution 101. Here’s J. Christian Adams. We’ve had him on the program. He was a member of the Department of Justice’s civil rights division after Obama was inaugurated. You remember Chris quit when Eric Holder announced that there would be no Department of Justice investigation or action taken against the New Black Panther Party in Philadelphia for the actions they had taken in voter fraud. They had intimidated people from showing up at a particularly polling place or two and voting. And Holder had made it clear that we’re not gonna go after those people, so J. Christian Adams resigned and set out on a new career. He was on Fox last night and he was asked what he makes of the charges, what he makes of the Mueller indictments from yesterday, and here’s what he said. ADAMS: It’s striking how these are charges from things that happened a long time ago, have nothing to do with Russia. All through the indictment you have these unnecessary allusions to Russia that have nothing to do with laundering Ukrainian money. It all has to do with keeping the Russia story alive by dribbling these little hints there’s something more nefarious than rank money laundering going on. So I think that’s the problem with the team that Mueller has assembled. There’s been plenty of reporting about who these lawyers are, and it’s really time to examine whether or not this investigation’s going anywhere, ’cause this is a terribly weak debut. RUSH: Exactly right, buttressing the point that I remember Andy McCarthy making to me in a conversation about the Blind Sheikh trial. This is weak. It’s a weak opener. And his point about the lawyers that Mueller’s hired, look, they’re no different than the Drive-Bys in the sense that they’re committed leftists, they are Hillary and/or Obama campaign donors, fundraisers, big time muckety-mucks. And I’m sure they all believe that Trump did this, they all believe. They can’t believe they lost the election. They can’t believe it was straight up. It had to happen with cheating. The charge has been ridiculous from the get-go, but they’ve made it so often they live in it now. It’s taken on a life of its own, and if these lawyers investigating this stuff are unable to be objective about this, then Mueller’s team might have a problem if this is the best they’ve got. Now, some might say, “But, Rush, you might be forgetting the fact that Mueller could be sandbagging. Could be wanting everybody to think and analyze this the way you are.” Well, I’ll hold that out as a possibility since so much of what happens today happens for media consumption. I have no doubt that Mueller and his team — you know, Adams is right here when he talks about these irrelevant references to Russia in the Manafort indictment. Nothing to do with Russia. But they’re feeding the mob. 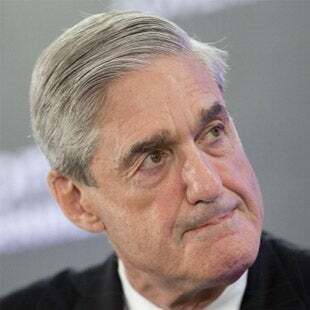 Mueller knows enough to know that he’s got to keep the press engaged on his side so they put some morsels in there that they know the press is gonna gobble and swallow and misapply. But it’s gonna make it look like Mueller’s on the case and Mueller’s got something, when they really don’t have anything. Now, the downside to sandbagging is what does it get them in the courtroom? They want to get Trump for real, not just in the media. Unless they think that getting Trump in the media will be enough to force him out of office. But they, quote, unquote, gotten Trump in the media every day since the election. And Trump’s still there, and there’s no sign he’s going anywhere. Much of the daily news being ignored by these people is off-the-charts good. RUSH: The story on Papadopoulos not only is what he pled guilty to relatively nothing in terms of getting Trump… I mean, he pleads guilty to a process crime. They don’t even have this guy on conspiracy to collude. It’s getting even worse now. “Mysterious Professor in Papadopoulos Doc[ument]s Says he Did not Discuss Clinton Emails.” Now, it’s a he said, he said, and we don’t know which is which except Papadopoulos did admit lying to the FBI. So there’s that. But it looks more and more like this guy was almost a groupie and a rogue. He wanted to be where the action was. He wanted to get in on the Trump campaign and he wanted to climb that ladder. He wanted to matter, and he wanted to be a key cog, a key ingredient — and he told people he was, when he wasn’t. The New York Daily News has the story. “The mysterious unnamed professor at the center of the charges against a former President Trump adviser…” This guy was never an adviser. Never, ever did he advise Donald Trump on anything. This is how they do it. Papadopoulos never advised Trump on anything, and yet: “former President Trump advisor says he has a ‘clear conscience.’ George Papadopolous [sic], a foreign policy adviser to the Trump campaign, pled guilty after lying about his connections with Russian officials looking to set up a meeting with the then-candidate, according to documents unveiled Monday. “Papadopoulos admitted that he lied when he told investigators he did not meet with the professor after joining the campaign, and said that the academic” professor, for those of you in Rio Linda, “had claimed that Russian officials had ‘dirt’ and ‘thousands of emails’ from Trump’s opponent Hillary Clinton. Now, the professor’s name is Joseph Mifsud. He’s “a former Maltese official.” That means, for those of you in Rio Linda, he’s from Malta. He “co-directs the London Academy of Diplomacy at the University of Stirling [and] was identified in media reports after details in the documents pointed to his attendance at a conference in Russia last year. So the point, the Papadopoulos story is falling apart. And there never was anything to it because the indictment or the guilty plea is about lying to the prosecutors. Nothing about conspiracy to collude with the Russians. RUSH: We go back to Rick in Lexington, Kentucky. Greetings. Great to have you on the program. How are you doing? CALLER: Hey, Rush. Isn’t it curious that after a full year of leaks left and right designed to damage the president that Mueller is able to contain an arrest he made back in July? RUSH: (chuckles) That’s the way to look at this. Exactly right. Not just the year. Look at the money! The Clintons and the DNC spent $12 million total on that dossier and related issues. Look at the money that Mueller has spent just hiring his lawyers and whatever investigators they’ve hired. Look at the value of the free media the Democrats have been given by the media for running 24/7 destroy-Trump stories. The fact that they haven’t been able to get rid of Trump with this? RUSH: This is an unprecedented onslaught and attack, both in length of time, intensity, and money spent. CALLER: Can they use Papadopoulos…? They call him a proactive witness or whatever. Can they use him to entrap people? RUSH: I think they did. I think they wired him. There’s a story that he wore a wire, and even at that — and the media got all atwitter about that when they learned that Papadopoulos wore a wire. But they got nothing out of it, apparently. Now, look, there are still, I’m told, two more sealed indictments. (sigh) I’m looking at five seconds here so I’m not gonna start trying to make a point, but hang on after the break. Keep listening and I’ll close the loop on this. RUSH: Now, what I was gonna say — again, I hate being redundant, but I mentioned this in the first hour and not since, and some people may missed it. Normally prosecutors open up with everything they’ve got. If they’ve got it, they open up with everything they’ve got. You shape the jury pool. You tell the guys you’re coming after you’ve got ’em. I gave the example of Andy McCarthy, the Blind Sheikh. He turned one of the sheikh’s coconspirators, got the guy to plead guilty and allocute before the judge and jury. He explained everything. He explained who the sheikh was, what their targets were, who their assassination targets were, what bridges and tunnels they were gonna hit. He gave up everything; 90% the prosecution’s case was made by one of the defendants in the first week of the trial. And it is the objective of every prosecutor… You know, you don’t start small to sandbag or lull people to sleep. So if you apply that philosophy to Mueller, if he opened with the best he’s got, he’s got nothing. He opened with Manafort with no ties to the Trump campaign in the indictment. No ties to Russia in the Trump campaign. No ties to anything beyond 2014 or ’15. The second guy, Papadopoulos — who even wore a wire — is not even pleading guilty to collusion. They can’t ’cause there’s no crime. They didn’t even get his guy on conspiracy to conclude. They got this guy on a process crime, lying to investigators. So if you look at it, the standard behavior mode of prosecutors to secure a win, you open up with everything you got. You know, there’s no longer surprise witnesses permitted. You have to, in discovery, tell the defense the witnesses you have. You have to give them the witness list. So you can’t do what Democrats in politics do and sandbag and save everything for a, quote, unquote, “October Surprise.” In court, you launch. Now, if Mueller is trying the case in the media, well, that could change the equation. If Mueller wants to lull everybody to sleep by making ’em think this is the best we’ve got, then that could explain why he opens with nothing here. On the other hand, if Mueller actually wants to end up in court someday and actually wants to get a conviction of some people that would lead to the impeachment of Trump, then he opened with nothing. Well, he did. That’s what Jeremiah Wright said, “Bill was riiiiding dirty!” That was how he described the Lewinsky affair. “Mommy! Mommy! Why’d Mr. Limbaugh say ‘riding dirty’?” “Don’t worry, Little Johnny. It just means that his car needed to be washed.” “Oh, okay.” So if Mueller is doing this for political reasons — if Mueller has a blockbuster that he’s holding to come out later — then we just don’t know. But based on what we do know and the fact that there has yet to be any evidence of collusion Trump and Russia? But I don’t believe Trump has told everybody to get out room and he’s sitting there steaming over things. This is no different than when they reported Trump’s wandering the White House in his underwear talking to portraits of previous presidents seeking guidance. They want to make it look like he’s unhinged, delusional, barely hanging on to sanity — and they’re trying to do it here again. They’re trying to make it look like these Russia indictments are… I guarantee, Trump’s in the White House laughing at these indictments. There’s nothing to them, folks. If Trump is seething over this stuff, somebody needs to grab him and shake him by the shoulders real quick, because there’s nothing to seethe over here. What there is to seethe over is the whole process. What there is to be livid about is this transparently phony effort made up of phony evidence and phony allegations and phony dossiers and phony this and phony that to get the guy thrown out of office. Seething over that? Yeah. But not over these indictments. These indictments actually, on balance, are beneficial. DERSHOWITZ: They never would have the indicted him for money laundering or tax evasion if he weren’t somebody who they thought could turn on Trump. This is dominos. You knock down the first domino; that knocks down the second domino. Ultimately, what Mueller is aiming for is the big domino in the Oval Office. I don’t think they’re gonna get him. I don’t think they have anything, ’cause collusion, even if it were to be established, isn’t a crime! You have to find something that actually violates the federal criminal statute. I don’t think they’re even close to that. RUSH: He’s right. There’s no… Even if Trump did collude, even if Trump called Putin, no collusion. It has to be a conspiracy to break a law, and they don’t have that. And Trump didn’t call Putin. It’s a bad example. I shouldn’t have used it. It has not happened. There’s no evidence for it whatsoever, and Professor Dershowitz here is right on the money. Now, here’s Kelly. Grab sound bite number 13. This is chiefs of staff. This is last night on Fox. The chief of staff is admitting here that this whole investigation is distracting to Trump but not that Trump’s sitting in there seething about anything. KELLY: Yeah, and it should wrap up soon. I mean, it would seem that they’re towards the end of the witness pile. I don’t know how much longer it could possibly go on, but we’re in great hopes that it wraps up. It is very distracting to the president, as it would be to any citizen, to be investigated of something while at the same time trying to carry the weight of being president of the United States. He and I have, as you might imagine, multiple conversations a day. Generally, in the morning when we first talk it’ll be about these kind of things, just general conversation before we get down to business, but it is very distracting. RUSH: That’s a good point, that whether there is anything to the investigation or not, it can result in hampering a presidency. This is, I think, another objective here of this investigation. All of this, folks, in a generic sense is aimed at ruining Donald Trump. However they can get it done. This is the insiders of the establishment grabbing every weapon they have and loading it with all the ammo they’ve got and aiming it at one guy. In their world, this kind of invasion of their turf will not stand. “Some derelict real estate developer from New York who lives in a tawdry, gold-plated building is not gonna come in here and undo 75 years of great work we’ve engaged in to chop the U.S. down to size so it’s being no more important other nation of the world. We’re not gonna stand for it!” That’s what’s going on, and they’re sending a message to any other outsider like Trump who may be getting dreams of grandeur about replicating what Trump has done himself. AP: Trump Blasts Former Aide at Center of Russia Probe as "Liar"